Were Manchester United unlucky not to have been awarded a penalty in their defeat against West Brom? Could Ben Davies have been sent off against Manchester City? 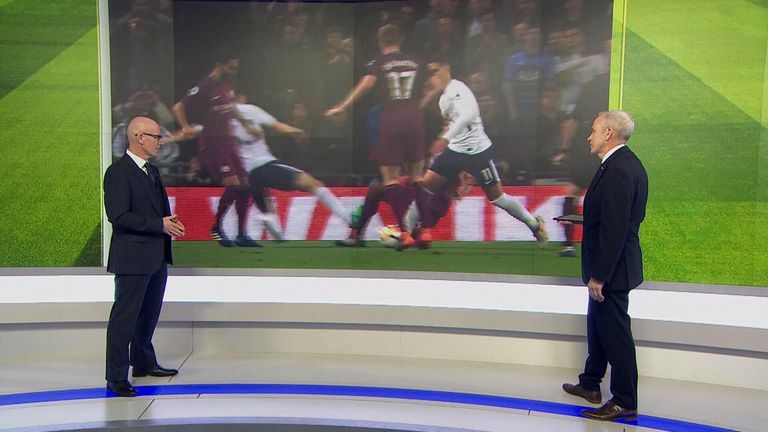 Dermot Gallagher has his say in this week`s Ref Watch. As always, there were a number of hotly-disputed decisions in the Premier League and in Scotland over the weekend. Not to worry, though, as we have Dermot here to run his eye over those big calls. 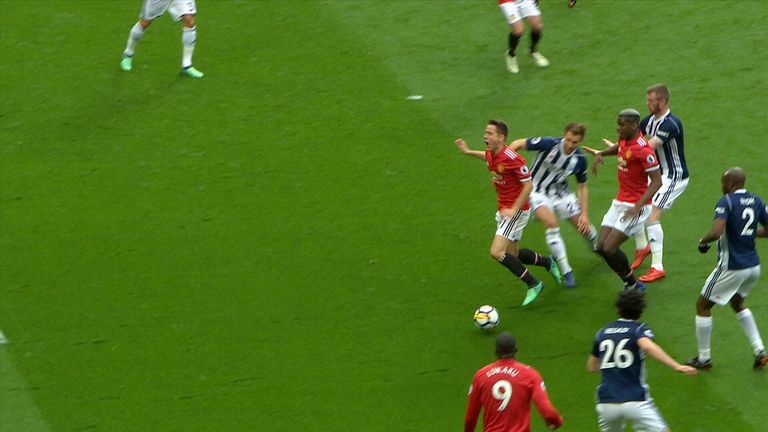 Incident: Ander Herrera goes down inside the penalty area, claiming contact by West Brom defender Craig Dawson. No penalty is awarded. Gallagher verdict: The referee is unlucky here due to where the ball goes. He thinks that Dawson plays the ball but it`s actually Herrera that plays the ball and Dawson stands on his foot. The referee thinks Dawson stands on the ground and plays the ball - I can understand why he`s not giving it due to where the ball has travelled. Incident: Raheem Sterling bursts in behind the Tottenham defence and is clattered by Hugo Lloris. The referee adjudges the foul to be inside the area. A penalty is awarded. Gallagher verdict: It`s easy to see on the replay that the foul is outside the box. It`s a difficult call in full speed for both the referee and the assistant. My first reaction was to look at the assistant to see if he could aid the referee but when you look across he can`t see past the defenders. The referee will say he was certain it was a penalty as he won`t give one that involves doubt. Was City penalty call correct? Incident: Vincent Kompany clears the ball out of his area and is caught late by a tackle from Ben Davies. Kompany reacts angrily as Davies is only booked. Gallagher verdict: It`s a red card - a nasty challenge. You can understand why Kompany is upset and it didn`t get picked up for the severity of the challenge. The ruling is: you can`t re-referee football matches. If the referee didn`t see something you can proceed with retrospective action but if he sees it - even if he gets it wrong - you can`t re-referee the incident. Incident: With Rangers already 2-0 down, Ross McCrorie was sent off for fouling Moussa Dembele as he broke away in the box. Celtic scored from the spot. Gallagher verdict: It`s a correct decision all round. Firstly, it happened in the penalty area, it`s not an attempt to play the ball because he`s grabbed the attacker`s shirt and shorts and denied an obvious goalscoring opportunity. A red card would have been produced outside the penalty area but if he tried to get the ball and ended up tripping the attacker, it would have been just a yellow card.